​CorVel is a national provider of risk management solutions to employers, third party administrators, insurance companies and government agencies. We specialize in applying advanced communication and information technology to improve healthcare management. Nationwide, our associates work side by side with our customers to deliver innovative, tailored solutions to manage risk and keep our customers ahead of their costs. ​Midwest Orthopaedics at Rush is nationally recognized as a leader in comprehensive orthopedic services ranging from sports medicine, hip, knee, hand, feet, spine, cartilage restoration, pediatrics, trauma, orthopedic oncology, shoulder care, pain management and occupational health. In fact, U.S. News & World Report ranks the orthopedic program at Rush University Medical Center as no. 4 in the nation and the highest ranked program in Illinois and Indiana. ​AccessOnTime provides language services including interpretation in-person/over-the-phone, recorded statements, document translation and transcription and non-emergency medical transportation logistics nationwide. Our core competency is in the workers’ compensation arena, but we offer our language services across all business sectors. Our company prides itself on integrity, quality, passion, and commitment to providing the best service we possibly can. ​Hennessy & Roach, P.C. 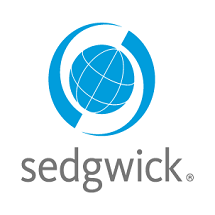 is a Midwest based defense law firm with offices in Chicago and Springfield, Illinois; St. Louis, Missouri; Green Bay, Wisconsin; Milwaukee, Wisconsin; Indianapolis, Indiana; and Omaha, Nebraska. The firm handles matters throughout the States of Illinois, Missouri, Wisconsin, Indiana, Nebraska, Iowa, and Kansas. Founded by Thomas G. Hennessy and James P. Roach on May 17, 1993, the firm continues to grow. 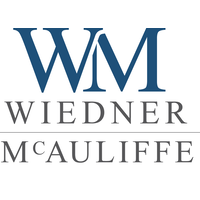 Founded in 1973, Wiedner & McAuliffe has vast experience defending employers in hearings before the Illinois Workers’ Compensation Commission and Illinois state courts. Nearly 40 years later, our workers’ compensation practice has grown to develop a strong mid-western presence capable of defending matters throughout Illinois and Missouri. ENCORE UNLIMITED delivers a national case management presence with a local feel. We offer a full suite of managed care products to employers, insurance carriers, third party administrators, and law firms. We service our customers’ national and regional needs with the personal “home town” touch they want. Our focus for customers and their employees throughout the injury management process is on Advocacy, Results, and Experience.